The Anti-Corruption Unit yesterday started registering volunteer observers for the Grade 12 National Exam to monitor the process and guard against cheating. The ACU said it needed between 4,500 and 5,000 volunteer observers for the August 20 exam. It would cast a wide net for volunteers to ensure a fair exam. Registration would be open from yesterday until enough were recruited. Srey Meta, 20, from Stung Treng province, said she had come to register as a volunteer observer for the first time to get experience and learn how the exam process was improving. The Education Ministry began deep reforms to the exam a few years ago, she said, and she is curious to see if the changes are having a positive effect. Once the ministry began its crackdown on cheating, pass rates plummeted, but have since began to rebound, she noted. Da Roath, 20, from Phnom Penh, said she passed the exam last year. She now wanted to be an observer to be part of a fair exam. Last week, the Education Ministry said it planned to spend nearly $5 million on the exam this year. 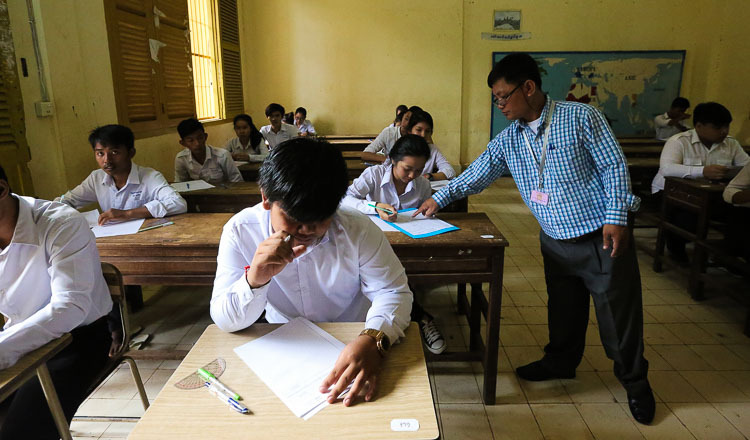 Education Minister Hang Chuon Naron said that the ministry spent about $4.8 million preparing for the national exam every year. Costs included 31,000 invigilators, exam centre processes, equipment, allowances for security guards and other expenses. “To ensure a high-quality exam, we have prepared a standard of exam classification according to the level of thinking and knowledge of the candidates. 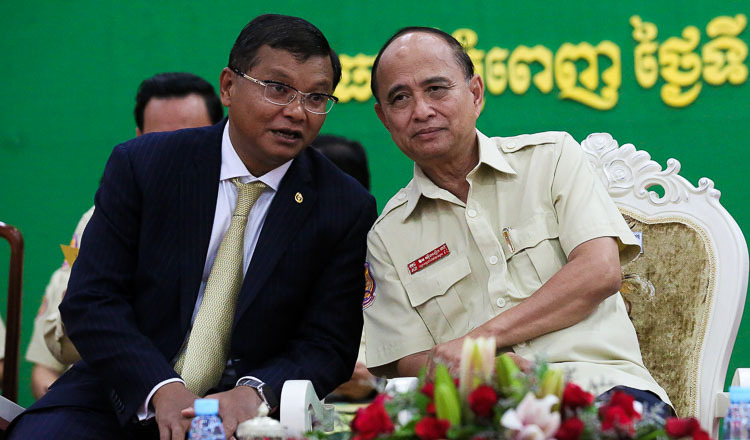 We do not make it easy for them,” Mr Chuon Naron said. Kheang Seng, deputy chief of the ACU, said students must not cheat or hide documents, or take any kind of electronic equipment into the exam room. More than 100,000 students will sit the national Grade 12 exam this year, a figure which is bigger than last year. The Education Ministry said 117,061 students had their names on the exam list, compared to 103,112 students last year. The number of exam centres has also risen, from 178 to 195. 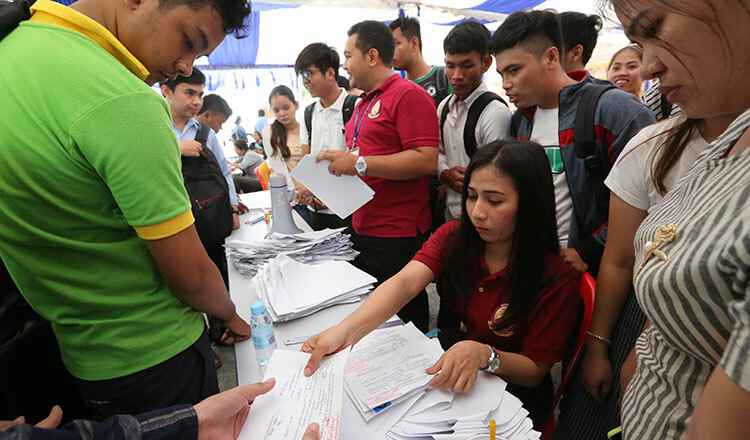 Last year, about 4,500 observers were deployed for the exam to prevent cheating and to continue the Education Ministry reforms. In 2017, 63.84 percent of students passed and only 28 students automatically failed due to cheating. Results of this year’s exam will be announced on September 11 for Phnom Penh and Kandal province, and a day later for other provinces.